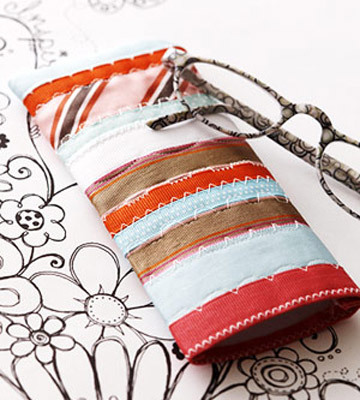 CRAFTS: 10 Easy and Cheap Sewing Projects for Holiday Gifts! If you are like me, you are tight on money and tight on time this holiday season! I usually hand make gifts for friends, teachers and coworkers (as you can see by my craft section). But this year I have had a hankering to sew some things. If you can get fabric on sale, and look through the scraps you already have, you can have your dollar stretch further per gift. In fact, Joann's just had fleece sale for 30% off this weekend. They also had a coupon in the flyer that took 50% off your entire purchase, even sale items! So if you plan on sewing some gifts, keep your eye open for those kinds of deals. You can save a bundle and still give the people you love something beautiful and special. So I scoured the "interwebs" for some ideas and came across some really great sites and projects I wished to share with my readers and followers. Some of these blogs below are amazing! I just love that social media has allowed people from around the world to easily share and show off their wonderful talents. It has really evened out the playing field and gives everyone a voice. That being said, I have a couple of links from the Goliath's of the craft world, like BHG and Martha. But I cherry picked what I thought was a gift that was useful while being simple/cheap/lovely. That being said, both these sites have a ton more ideas in various slide shows and features, so if nothing here inspires, I am sure you can find something there. Now to decide on what to make for my list. And I am really trying to convince myself that a woman at my age should not wear a flutter cape. WOW is it cute. There are a billion totes on the web. I just loved this crafter's blog and style, and wanted to feature her to you all. Take a visit. 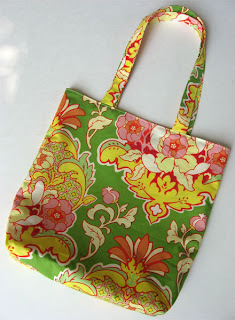 She is really talented, and this tote is easy and cute. Once, another domestic diva I knew who was in my book club eons ago. 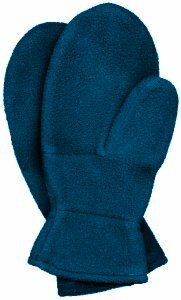 She made all the book club members poofy fleece mittens with the cutest giant fleece covered buttons cinched at the wrist, We all kept them for years. I thought about making them this year, and found a similar pattern. 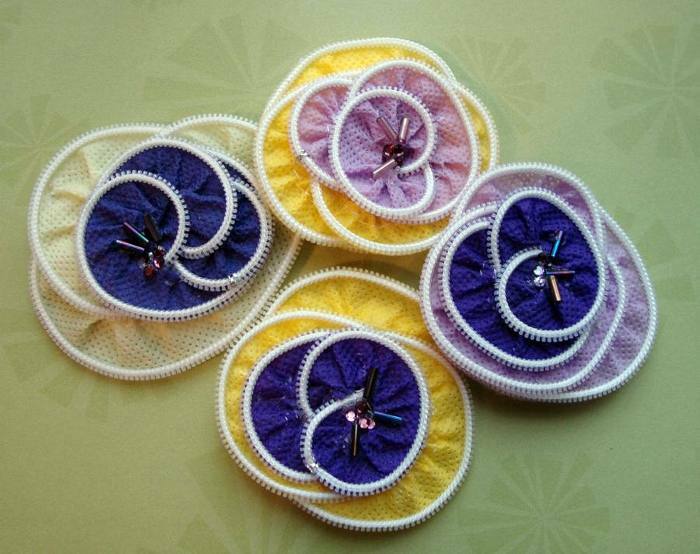 You can stitch a button or fleece flower at the wrist to spruce them up. 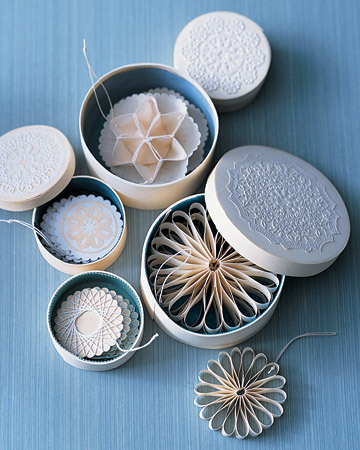 These pretty ornaments are lovely and delicate for anyone's tree. The ribbon one in particular looks pretty easy. This seems pretty easy and you can use scrap fabric you have left over from other projects. 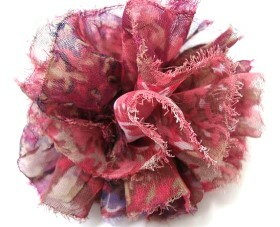 This would look lovely on a sweater or coat. 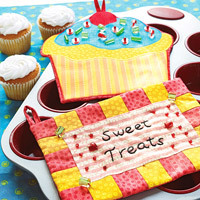 Also a great blog with a ton of craft ideas. Fleece seems like such a versatile fabric because it washes well, and you don't have to sew it all the time. 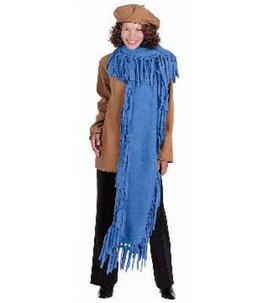 This scarf looks really easy. I think if you make it shorter it would be a little less expensive to make. A scout leader at camp had a ton of zippers that an old seamstress gave her when she retired. So we were supposed to make these pins at camp, but we ran out of time. I was looking forward to making them. They don't seem that hard, and the beading at the center might be done with glue instead of stitching if you are nervous about your sewing skills. Who doesn't need some cute hot pads for the kitchen? You can always have another set. These are adorable. This looks a little more advanced than the other projects, needing fusible interfacing and needing to do some fancy stitch work with your machine. But if you are up for it, this is pretty and usable! A poncho is great when its chilly but not too chilly for a full on coat. It can also be a great fashion accessory in winter. There are two here I found. One has a ribbon and a flutter layer and the other is more simple. This one is for young girls, and this blogger is amazing! Please visit her site. Its a great balance of nostalgia and down home crafts and cooking. 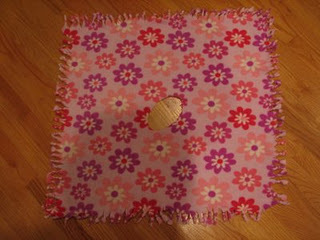 I have seen a slew of upcycled T-shirt clothing items in various catalogs this month, sold for 25-50 dollars a piece. Here is a way to use your old T-shirts (or go to the thrift store and buy some with cool/worn designs for $1.00 a piece! 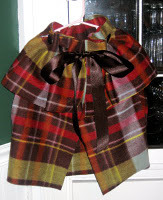 Just throw in the wash before cutting up) and make this hip looking scarf! So far this is in the running for the projects. Its "green" and it looks really cool and urban. Also, this is found on a great site with a group of craft contributors. Its easily search-able and it is full of fun ideas.